My sunflowers are slowly bending their leaves and saying good bye to summer.It was a trial at times to work on my Lady Violet rug but a couple weeks ago we went camping at Santee Lakes and I finally made some headway. 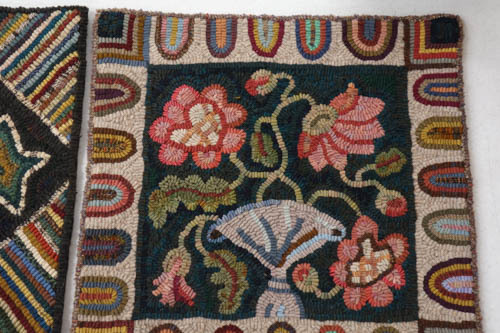 For me the perfect time of the year to rug hook is in winter. Even if the air conditioning is on in the summer it just isn't the same as when it's cooler. In Southern California we don't get snow but the weather starts to try to cool down off and on in September and October.I get a little worried this time of year. Did anyone see the NBC dateline program about the Cedar Fire? That was the fire that burned over 200 homes around us in Crest. It sure brought back memories of how scary it was. Usually we get the devil winds or Santa Ana winds that drive wildfires off and on during these months. 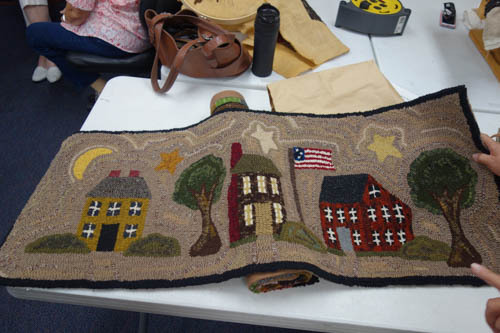 are getting ready for the San Diego Quilt Show at the end of September.Once again were going to display hooked rugs in the show at the San Diego Convention center. About six months ago I did DNA testing using Ancestry.com. back I had a little bit of Sephardic Jewish ancestry in my blood. My second cousin looked into our genealogy and there is a poet Rabbi Najera that was in my family. I had over 33 percent DNA of Native American. The majority of my DNA is Iberian Peninsula. The Iberian Peninsula contains Arab,Spanish,Moroccan,France and Italy.I had one percent of hunter gatherers of Africa and two percent Britain two percent of all places Scandinavia. It made me think about how crazy life is More people should take an ancestry test they would be amazed at where they originated. Maybe it would change how we perceive people. I think of my husbands family that were German and Swedish.You know I think I am going to order a test for him! My husbands dad was really into genealogy when he was alive.He even drove to Utah to get information from a genealogy library. My daughter Megan started looking into what he had gathered and got back pretty far in the records with the help of other relatives on my husbands side. Apparently she could qualify for the daughters of the American revolution.Amazing. My late mother in laws Alice family were rug hookers in Ohio. Not for a hobby but out of necessity. 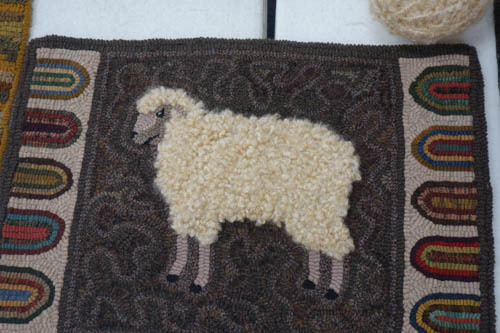 That was the first time I saw hooked rugs and my interest was peaked. I have this theory about my DNA. I could never understand why I loved old houses so much, Jane Austen, gardening, all things British. Chickens, quilts and rug hooking. Not to mention being a avid reader of history. 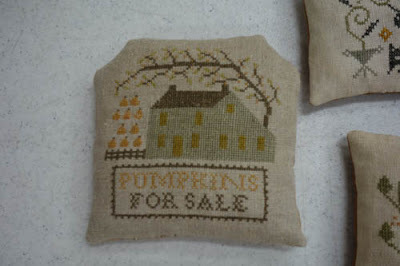 I wondered how come I had such a love for color folk art and fibers. It must be that the DNA that was from ancestors in the past effects me in the present. I think that my ancestors DNA speaks to my heart and somehow that effects my passionate interests.I know it's not scientific but my romantic heart thinks its true. This has been the summer of just a little bit of everything.We have been on several camping trips this summer.We still have one last camping trip to South Carlsbad State beach coming up in September! I finally finished a Cheri Payne flag quilt from last year. There was the usual 4th of July parade in Crest with the throwing of candy to kids watching the parade .Little jack insisted on spending the night for the parade.It makes me happy that he loves to come to our home so much. We took a trip to the Point Loma Tidepools with little Jack while he was spending days with us .We had him for a little bit while his parents were away. His mom went to Brave Girl camp in Idaho and his Dad went to Palm Springs golfing. We did a nice staycation in San Diego. People come all over the world to see all the tourist spots in San Diego so we just were like tourists enjoying southern California. I called it Nana camp.We had train rides at Balboa Park which has been around since I was a kid.Little Jack loved it! 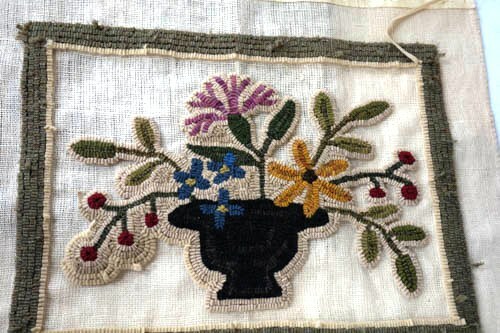 not everyone uses Facebook.I joined Facebook so I could be in some rug hooking groups on line.I am going to continue blogging but maybe just once a month for a while. The San Diego quilt show is going to have hooked rugs again this year so I am putting two of my rugs in the show.I need to put a sleeve on them and they will be ready for the show in September. Oh and then a wildfire scare! Rug hooking in the summer seems like such a chore. 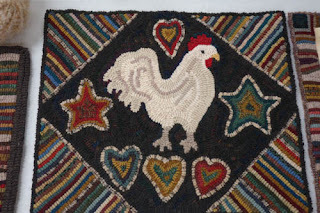 I have been in a slump trying to get my mojo back to my rug hooking. So when I was packing to go camping I had to include my wool's and my Lady Violet rug.I needed to force myself to get going on my hooking project. William Heise Park was a lot of fun and was perfect for hooking away. There seem to be no distractions for me except feeding my husband breakfast lunch dinner. It was just me and my husband in our trailer in a spot that only had two other campers in the camping loop.It was like having the park to ourselves.It was so relaxing! The fact we were so close to Julian was perfect. Jack and I went on some really nice hikes where you felt like you were all by your self deep in the wilderness.It was so quiet.We saw this sign which was a little scary. It was kinda unnerving at times as the paths got narrower and denser and with my imagination I was sure some crazy animals could jump out at us. The bugs were out so bug spray was a must but besides that it was like being on a retreat. I bought a cool walking stick at a bird shoppe which Jack promptly painted it full of pretty flowers for me. My husband has discovered painting rocks so he brought his paints and I brought my hooking and during the heat of the day we worked on our projects.It was bliss!I finished my 4th of July quilt just in time for 4th of July a couple weeks ago. At night we would walk over to throw our trash away and look at the beautiful stars.The best part was seeing deer and we even were pretty lucky and saw a couple wild turkeys. On the last day two mule deer jumped out of the bushes and ran in front of us at our campsite.That was exciting!